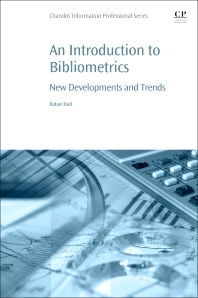 An Introduction to Bibliometrics: New Development and Trends provides a comprehensible, readable and easy to read introduction to bibliometrics. Importantly, the book surveys the latest developments of bibliometrics (such as altmetrics, etc.) and how the field is likely to change over the next decade. In the literature, bibliometrics is generally discussed from one of two perspectives: (1) Purely mathematical/statistical or (2) Its sociological implications. Both approaches are very far from how most users want to apply bibliometrics. This book fills that need by providing tactics on how bibliometrics can be applied to their sphere of scientific activity.